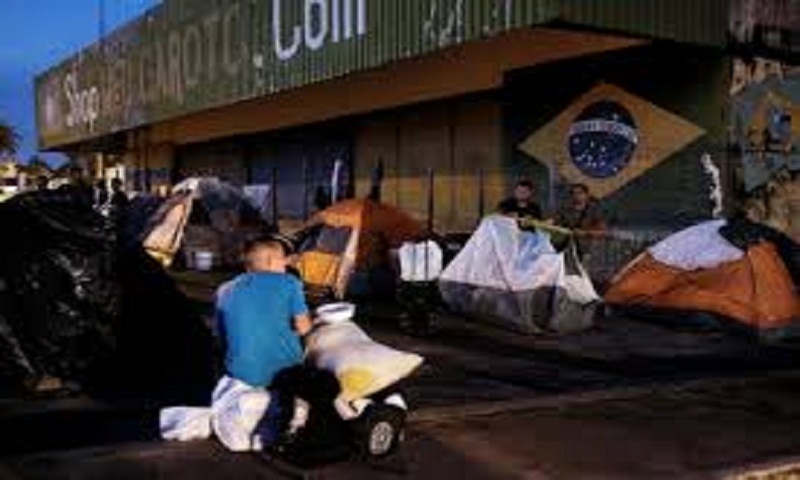 The Roraima state government estimates that more than 50,000 Venezuelan refugees have crossed the border, occupying already existing shelters or sleeping in tents, plazas and streets. The influx was nearly equal to 10 percent of the state's population of 520,000 inhabitants. Police said that to escape the violence, hundreds of immigrants crossed the border back into Venezuela. On a video posted by the G1 news portal a man's voice is heard shouting "Get out. Get out. Go back to Venezuela." The crisis has prompted state authorities in recent months to try to limit services to Venezuelans and temporarily shut the border. The federal government and high courts have curtailed attempts to do those things.